iPhone Stuck In Recovery Mode? Here's How To Get It Out. You are at:Home»iPhone»iPhone Stuck In Recovery Mode? Here’s The Real Fix. iPhone Stuck In Recovery Mode? Here’s The Real Fix. You left your iPhone alone for a while and when you came back, it was stuck in recovery mode. You tried resetting it, but it won’t even connect to iTunes. In this article, I’ll explain why your iPhone got stuck in recovery mode, how a little-known piece of software may help you save your data, and the how to fix the problem for good. I worked with a lot of customers whose iPhones were stuck in recovery mode while I was at Apple. Apple techs love fixing people’s iPhones. They don’t love it when that same person walks back into the store two days later, frustrated because the problem we said we fixed came back. As someone who’s had that experience on more than one occasion, I can say that the solutions you’ll find on Apple’s website or in other articles online may not permanently fix this problem. 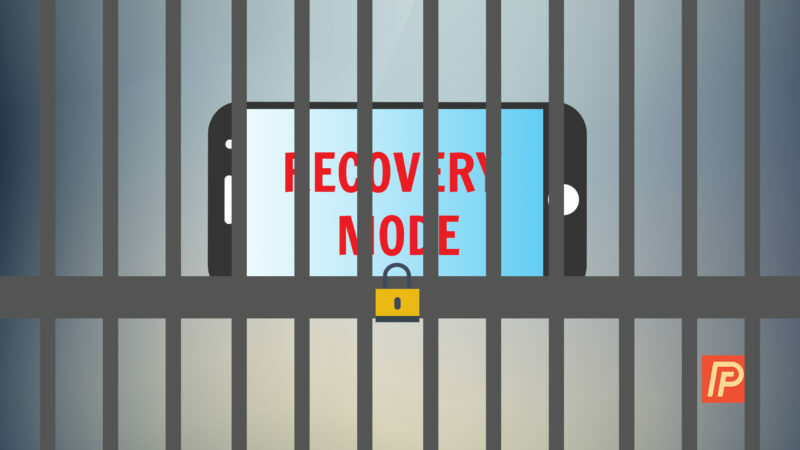 It’s relatively easy to get an iPhone out of recovery mode – for a day or two. It takes a more in-depth solution to fix your iPhone for good. Why Do iPhones Get Stuck In Recovery Mode? There are two possible answers to this question: Software corruption or a hardware problem. If you dropped your phone in the toilet (or it got wet some other way), it’s probably a hardware problem. Most of the time, a serious software problem causes iPhones to get stuck in Recovery Mode. Am I Going To Lose My Data? I don’t want to sugar-coat this: If you haven’t backed up your iPhone to iTunes or iCloud, there’s a chance your personal data will be lost. But don’t give up yet: If we can get your iPhone out of recovery mode, even for a little while, you may have the opportunity to save your data. A free piece of software called Reiboot can help. Reiboot is a tool made by a company called Tenorshare that forces iPhones into and out of recovery mode. It doesn’t always work, but it’s worth a try if you want to rescue your data. 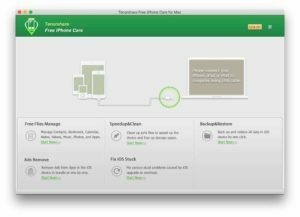 There are Mac and Windows versions available on Tenorshare’s website. You don’t have to buy anything to use their software – just look for an option called “Fix iOS Stuck” in the Reiboot’s main window. If you’re able to get your iPhone out of recovery mode, open iTunes and back it up right away. Reiboot is a band-aid for a serious software problem. Even if it works, I highly recommend you keep reading to make sure the problem doesn’t come back. If you try Reiboot, I’m interested to hear whether it worked for you in the comments section below. iPhones stuck in recovery mode won’t always show up in iTunes, and if yours doesn’t, skip to the next step. 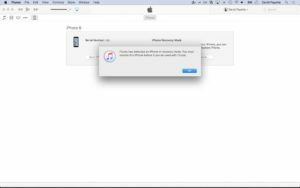 If iTunes does recognize your iPhone, you’ll see a message that says your iPhone needs to be repaired or restored. If Reiboot didn’t work and you don’t have a backup, repairing or restoring your iPhone with iTunes may not delete all your personal data. If your data is still intact after your iPhone reboots, use iTunes to back your iPhone up right away. The other articles I’ve seen (including Apple’s own support article) stop at this point. In my experience, iTunes and Reiboot offer are surface-level fixes for a deeper problem. We need our iPhones to work all the time. Keep reading to give your iPhone its best chance to never get stuck in recovery mode again. Healthy iPhones don’t get stuck in recovery mode. An app might crash now and then, but an iPhone that gets stuck in recovery mode has a major software problem. Other articles, including Apple’s, recommend restoring your iPhone to make sure the problem doesn’t come back. Most people don’t know there are three different kinds of iPhone restores: The standard iTunes restore, recovery mode restore, and DFU restore. I’ve found that a DFU Restore stands a better chance of permanently solving this problem than the regular or recovery mode restores recommended by other articles. DFU stands for Default Firmware Update, and it’s the most in-depth restore you can do on an iPhone. Apple’s website never mentions it at all, but they train their techs to DFU restore iPhones with serious software problems. I wrote an article that explains exactly how to DFU restore your iPhone. Come back to this article when you’re finished. Your iPhone is out of recovery mode and you’ve done a DFU restore to make sure the problem never comes back. Make sure choose to restore from your iTunes or iCloud backup when you set up your phone. We’ve eliminated the underlying software issues that caused the problem in the first place, so your iPhone will be even healthier than before. If you’ve tried everything I’ve recommended and your iPhone is still stuck, you probably need to have your iPhone repaired. If you’re still under warranty, I recommend you make a Genius Bar appointment at your local Apple Store. When a DFU restore doesn’t work, the next step is usually to replace your iPhone. If you’re out of warranty, that can be very expensive. If you’re looking for a less-expensive alternative for repairs, iResq.com is a mail-in service that does quality work. In this article, we talked about how to get an iPhone out of recovery mode, options for recovering your data, and the best way to prevent the problem from coming back. If you feel like leaving a comment, I’m interested to hear about your experience fixing an iPhone that was stuck in recovery mode. Previous ArticleMy iPhone Is Frozen! What To Do When Your iPhone Freezes. Next Article Why Is My iPhone Battery Yellow? Here’s The Fix.